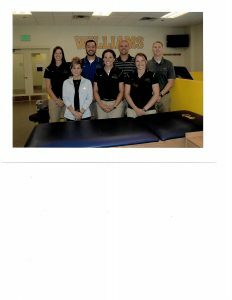 The Sports Medicine Department is committed to providing outstanding health care to the student-athletes of Williams College. Through the application of our professional knowledge and collective experience, the Sports Medicine Staff will strive to maintain and improve the level of excellence achieved by our student athletes. Care for these individuals, including education, prevention, evaluation, treatment, and rehabilitation will be carried out in a positive atmosphere where diversity and individual needs are recognized and appreciated. The Sports Medicine Staff, in collaboration with our Team Physicians, the Health Center, and other area health professionals, endeavor to provide proper direction in all areas of physical and mental well-being.